Dr. Jennifer Shu is a pediatrician in Atlanta, Georgia. She is also a mom and practicing physician at Children's Medical Group. She's passionate about working with families to help them build healthy habits and believes continuing good habits is much easier than breaking bad ones. Dr. Shu earned her medical degree at the Medical College of Virginia in Richmond, Virginia, and completed her pediatrics residency at the University of California, San Francisco. Her experience includes working in private practice, as well as working in an academic medical center including serving as director of the normal newborn nursery at Dartmouth-Hitchcock Medical Center in New Hampshire. 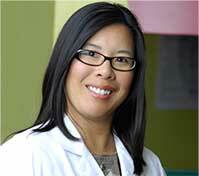 Dr. Shu is also an author, medical consultant, parenting expert and frequent media guest. She is co-author of "Food Fights" and "Heading Home with Your Newborn" and is the medical editor for the American Academy of Pediatrics' web site HealthyChildren.org.